One of the things I like from the bush is you will wake up in the morning with no expectation on what is going to happen on that day. Also you might plan the routes which you will drive and the plan will change at any time and you will go somewhere you didn’t even think about. Today exactly this happened to me when I was going to the lake Tagalala with four guests. Three vehicles where going to the lake and Onesmo started the boating followed with Onno and I was the last one. So my plan was to drive on the road going to Tagalala campsite and then take the right to the north of the lake and drive around the lake waiting for the others to finish. As I left the road going to Lake Nyamiluba we saw a beautiful flower which was a Desert Rose. One of the guests asked if she could get out the vehicle in order to take a photo of the flower and we did. Whilst we where looking at the flower we saw four different Lions tracks. Later on we saw the territorial mark of scratching on the ground and fresh urine (the ground was still wet). We all got excited and we agreed to track them with the vehicle. Unfortunately the Lions tracks were going in the opposite direction, east of Lake Tagalala. So we turned our vehicle and left the Tagalala road and took the Nyamiluba road which we didn’t plan. As we got to the junction of Lake Nyamiluba and Lake Manze which is about two kilometers from where we saw the tracks we saw some vultures landing. 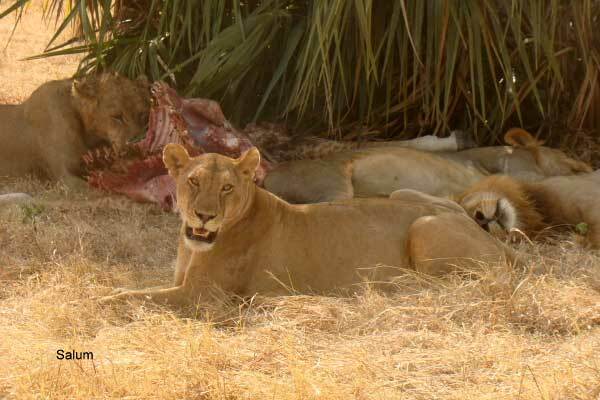 As we went nearer we saw five Lions, two Lionesses and three males with the fresh kill of a young Giraffe. It was so exciting because we tried and we found them. Where they killed we saw some stomach contents, blood, jaw and piece of the stomach. Also there were side striped Jackal, white backed Vulture and hooded vulture. After watching them eating for a long time we decided to go to Lake Nyamiluba before our boating. We had a good time on the lake because we saw baby crocodiles, nice birds, Fish Eagle catching a fish and a Giant Kingfisher tried to fish but didn’t succeed. We got fantastic sightings of Black Heron, Malachite and Giant Kingfisher. On the way back from Tagalala I was amazed to see more animals than when we were going to the Lake, as it was so hot. 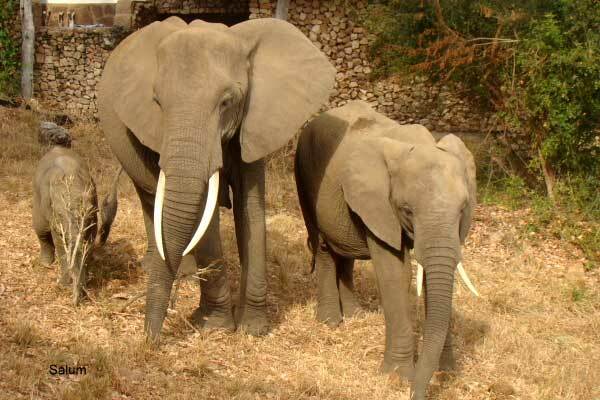 As we got to the camp the game was even better because between rooms four and five was a family of six Elephants including two babies which were about three or four months old. I enjoyed watching the babies because they were so playful. 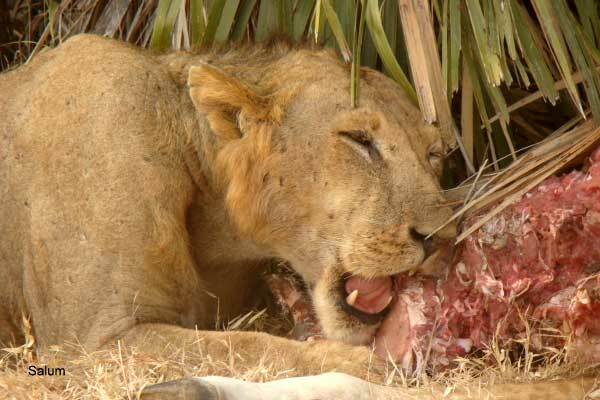 This entry was posted in Salum, Wildlife and tagged Beho Beho, camp, elephant, lions, safari, salum, selous, tagalala. Bookmark the permalink.